From the sentimental items as a newborn to the artwork that’s collected in school, storing the childhood memories for you and your child is important. 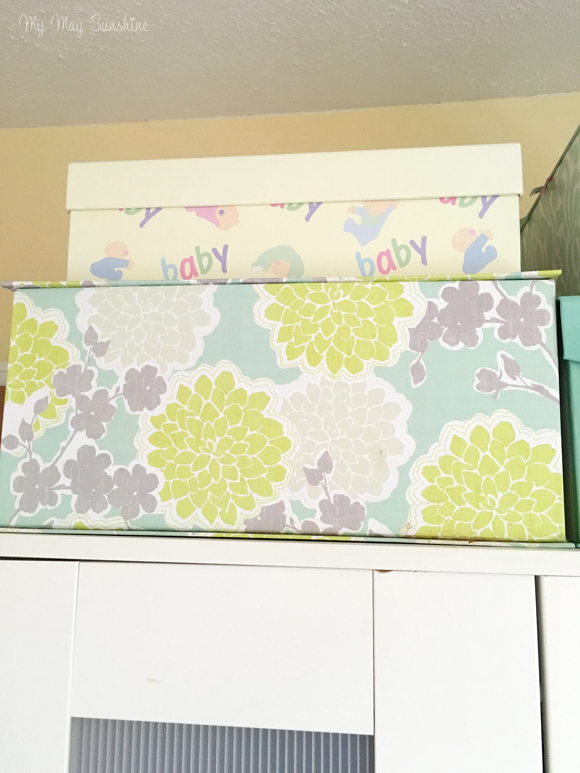 I have 2 boxes for each of the girls, one baby box and one for items as a toddler onwards. I will show you what I have kept for Hollie as she is the eldest. 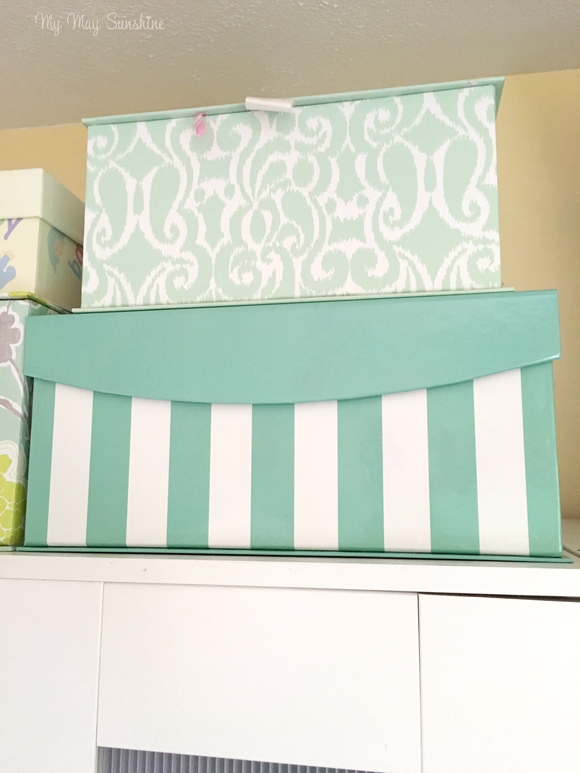 Most of the boxes are from Homesense as they have some lovely designs and sizes. 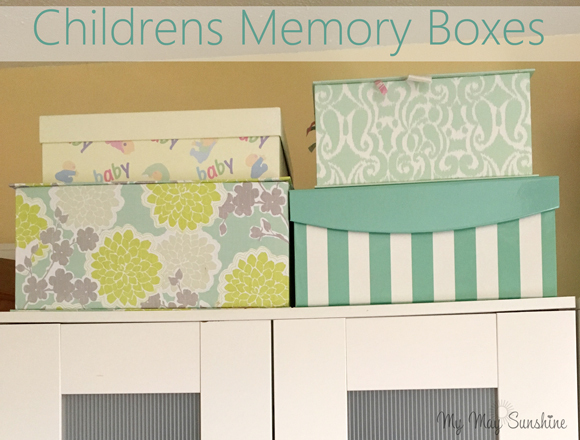 The first box I have used is for items when Hollie was a baby. It’s so lovely to keep the sentimental items that mean a lot to you and your child. The items that I have kept in the baby box are gifts that were given to Hollie when she was born like the first tooth box, a bracelet and a plate as well as a congratulations balloon and the hospital tag. 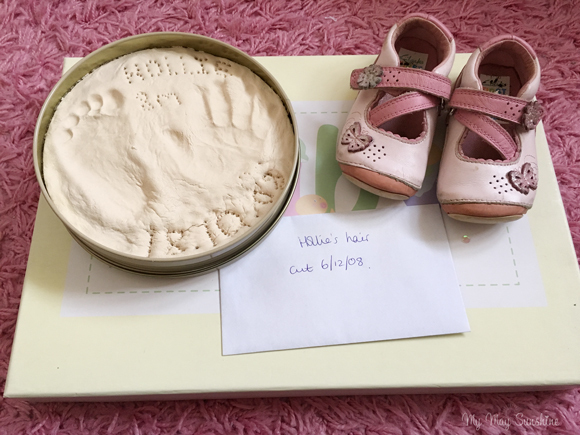 Also I included one of the first dummies, first pair of shoes, first haircut and a clay mould that was taken when Hollie was 8 months old of her foot and hand. 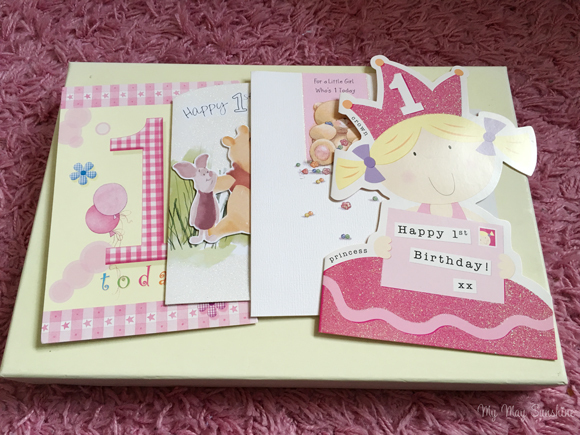 As someone who loves cards I have kept some of the congratulations cards when Hollie was born and also some of her first birthday cards too. 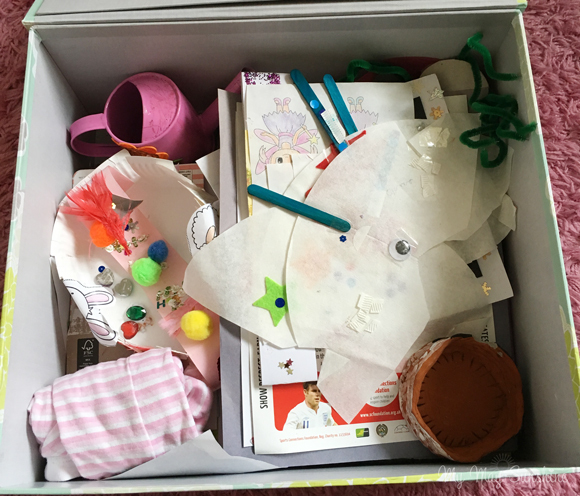 The second box contains items that Hollie has made at nursery and school as well as some items that Hollie made at home. I have tried to keep these items to a minimum and things that have a special memory. 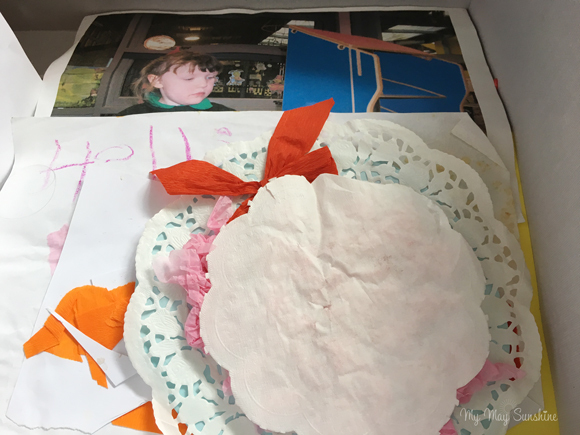 Also in the box are some photos that were taken at nursery and school and show Hollie making things and interacting with other children. 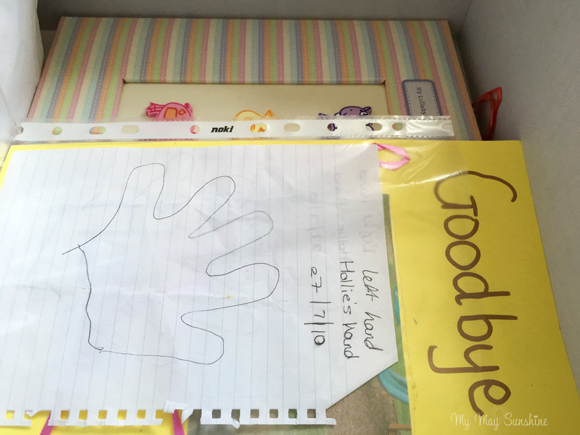 There is also a special good bye card from when Hollie left nursery, a drawing of her hand and her baby book. I have also included the first sleep suit that Hollie wore as it didn’t fit in her baby box and also some certificates that she has received over the years like attendance. I have filled Amelia’s baby box and have started her second box already. It’s great to be able to put things straight in the box that we want to keep and know it’s safe. 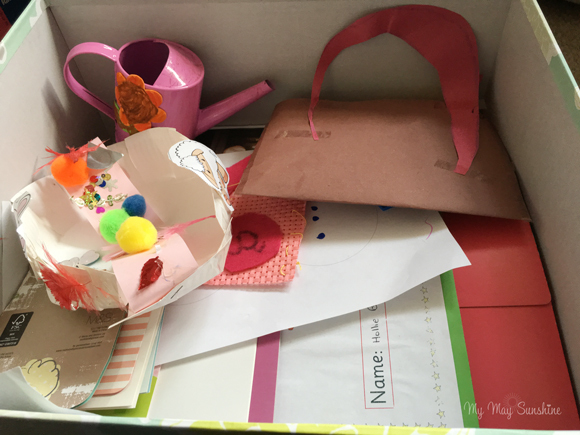 Hollie’s boxes are quite full already but Hollie is at the age now where she doesn’t do as much creative projects in school or home any more and so won’t fill the box up with big items but I can always buy another box, it’s not a problem. I am so pleased that I have implemented these boxes as it’s so easy for the girls to be able to look in the boxes and reminisce. Is this something that you have or would like to create for your child/children? I would love to know your thoughts in the comments. Previous Post Wicked Wednesday 27.1.16. Next Post The 52 Project 5/52.